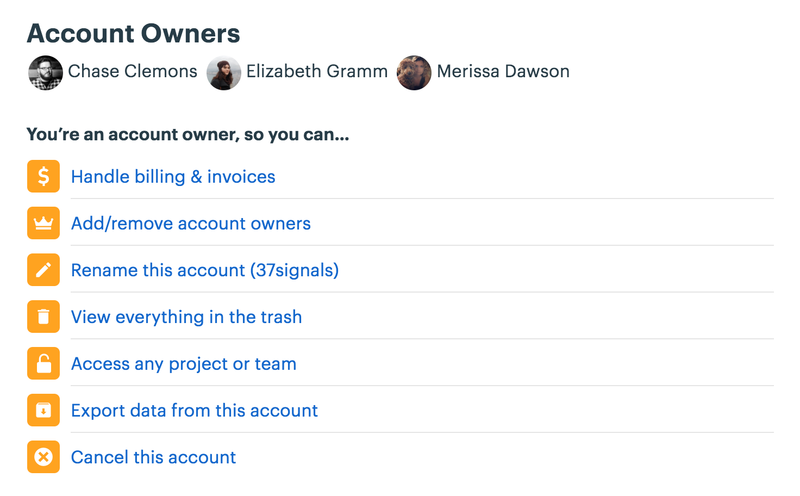 Basecamp 3 accounts can have more than one owner, so the original owner can designate additional people as owners — handy (and recommended!) for when you're out of the office having a baby or something, and your credit card expires! You don't want to have to talk to Basecamp support while you're in labor, do you? Of course not. But seriously, adding a backup account owner really is a good idea. Start by clicking Adminland on the top right of the Home page just beneath your avatar. Once in Adminland, scroll down until you see the Owner Actions. Click the Add/remove account owners option and add your new co-owner there.